New for Cruise 2019, this compact case is made from embossed calf leather in the Micro Intrecciato workmanship. Highly practical and lightweight, the colour-blocked style is equipped with a front zip pocket that fits a smartphone and a cotton-lined main compartment with a double zip fastening. 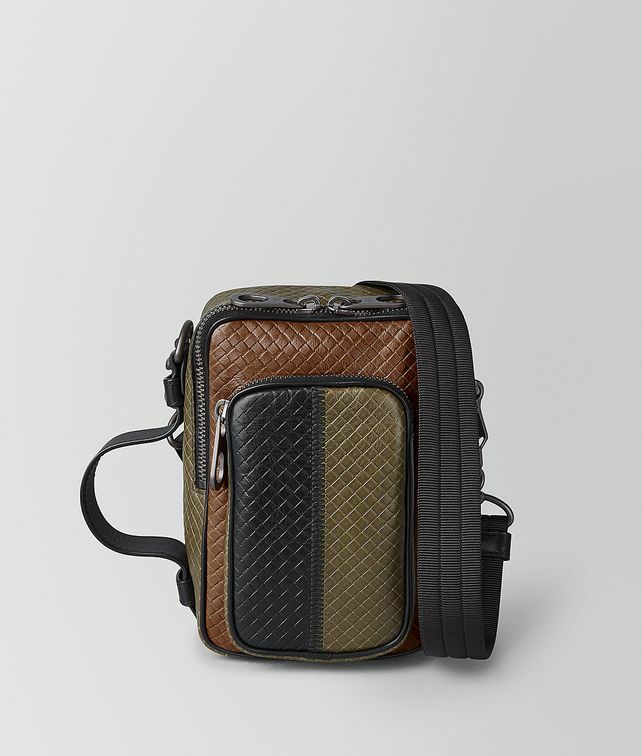 Finished with a removable nylon side handle and shoulder strap. Height: 17.5 cm | 6.9"
Width: 12 cm | 4.7"